There’s No Stopping Me Now | When Do They Serve The Wine? As one gets older, saying what you really think becomes easier, at least in America. You realize that time is of the essence, and people don’t change unless they want to. Or if there’s cash involved. I’d like to say I grew more bold in my opinions in my thirties. But for me, it actually only crept up on me in my forties–many boyfriends and a fantastic husband later (we are still married). There’s no stopping me now. 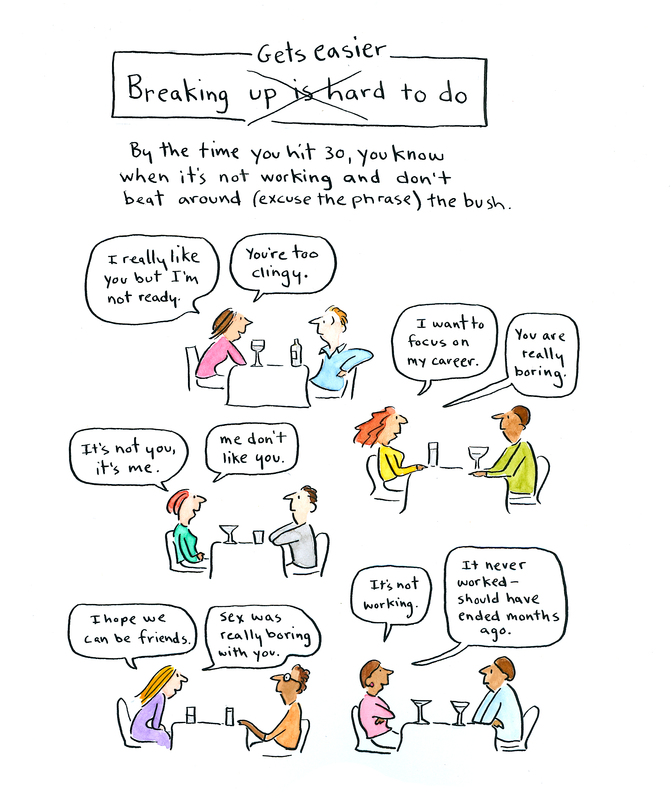 This cartoon is from my book, When Do They Serve The Wine? 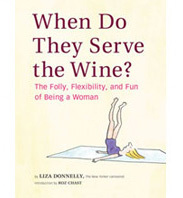 , in the chapter on what it’s like to be in your thirties as a woman. This entry was posted in From the Book and tagged age, marriage, opinion, relationships. Bookmark the permalink. I love “It’s not you it’s me/me don’t like you” !